Download Free Graphic Designer Resume Template PSD file. This free resume template is organized and labeled so that you can easily customize it quickly according to your needs in fast possible time. Have fun with this amazing professional CV PSD freebie template and be creative. If you download this Graphic Designer Resume Template PSD, you will get layered Adobe Photoshop psd file in A4 Size, 300 dpi and CMYK Format. All main elements are easily editable and customizable. This Creative Resume CV PSD Bundle is available for Free Download. 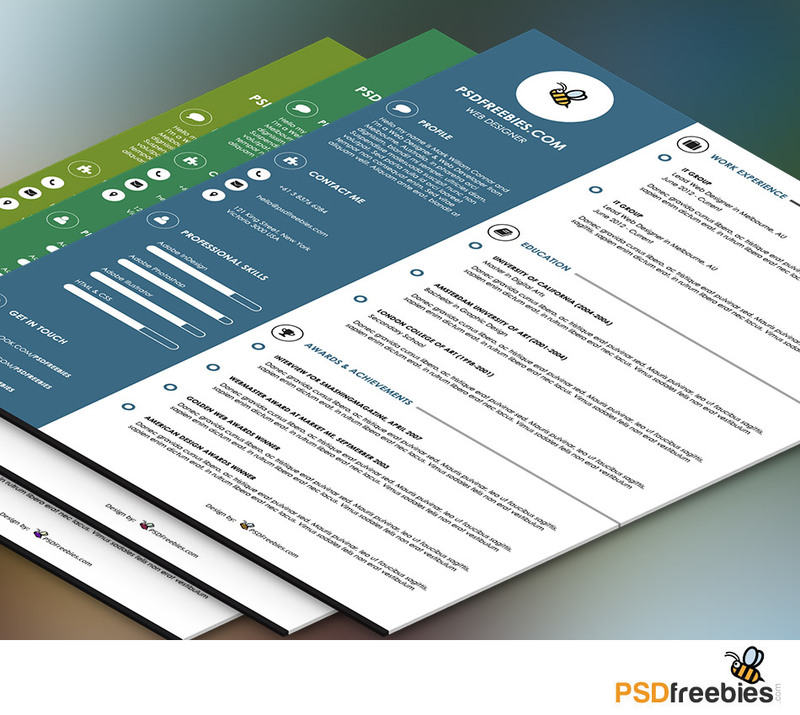 6 Responses to "Graphic Designer Resume Template PSD"
hola increible las plantillas me gustaron mucho ..
y descargue una pero con que programa puedo abrirla para editarla? ?